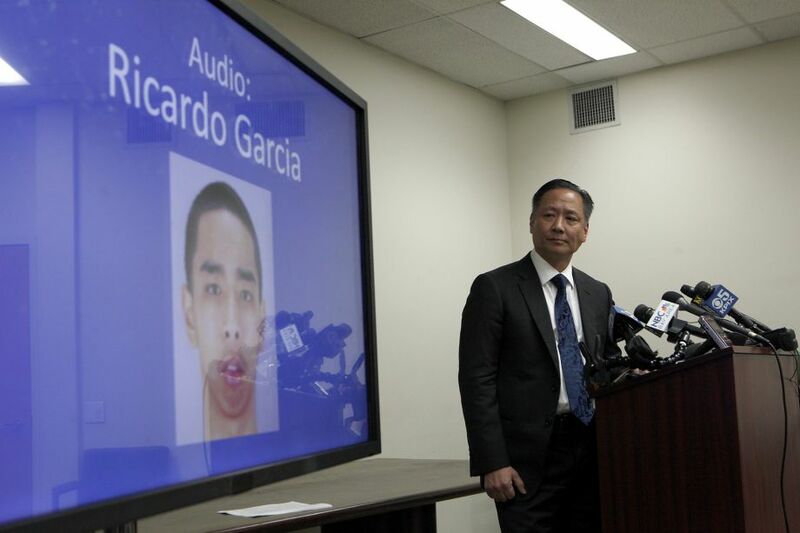 San Francisco – A San Francisco sheriff’s deputy who was the subject of a past sexual assault lawsuit has been accused of an array of misconduct, including forcing inmates to fight in gladiator-style matches while he and his colleagues bet on the outcomes, San Francisco Public Defender Jeff Adachi announced Thursday. Adachi launched the investigation, conducted by the independent private investigation firm Simon Associates, after an inmate’s father alerted his son’s public defender to the abuse March 12. Several other inmates subsequently came forward with reports of abuse. The Public Defender’s Office released the report after learning deputies were planning another inmate fight. Deputy Scott Neu is accused of twice forcing two inmates to fight at the county jail on the seventh floor of 850 Bryant. Both alleged fights took place in March. Inmates Rico Palikiko Garcia and Stanly Harris were promised hamburgers if they won and threatened with mace, handcuffed beatings and transfers to dangerous housing quarters if they refused to fight, according to witnesses interviewed by private investigator Barry Simon. Both men were injured in the fights but were threatened with beatings if they sought medical treatment. Garcia told Adachi in a recorded interview he believes another motive was also at play. “I feel like they’re trying to stir like a racial, something racial going on because I’m the only one of Asian descent” in an otherwise all-Black pod. Staged fights between prisoners of different races to aggravate interracial antagonism is reminiscent of the gladiator fights scandal in the California state prison system that made international headlines in the 1990s. Blacks and Latinos were pitted against each other for these frequent spectacles by guards who sometimes shot the “troublemakers.” Not until the Agreement to End Hostilities was issued in 2012 by the state prisoners who organized the 2011 and 2013 hunger strikes was the animosity resolved that had been stirred up by the staged fights. Neu allegedly paired the smallest man in the living pod to fight the largest. Garcia is 150 pounds and Harris is approximately 350 pounds. Witnesses said he also appeared to delight in humiliating the out-of-shape Harris, forcing the overweight man to perform boot camp-style exercises. Neu allegedly called Harris “Fat Boy” and referred to him as his fighter he was training. Harris told investigators that Neu has shown him “850 Mob” tattoos that he has on his right arm and lower leg. Investigators also interviewed witnesses who said Neu regularly forced inmates to gamble for their own possessions and food. Another inmate, Keith Richardson, reported Neu tried to goad him into fighting another inmate and regularly bullies both inmates and staff so they will not intervene. Inmate Jonathan Christopher told the investigator that Neu forced him to clean up human waste and vomit without protective gloves or clothing, while inmate Quincy Lewis told the investigator he witnessed Neu behaving in a way that suggested sexual misconduct with a female jail worker. Simon, a seasoned investigator, said he was struck by both the consistency in the inmates’ accounts and by the fear they expressed. It is not the first time Neu has faced public allegations. He was accused in 2006 of forcing both a male and female inmate to perform sexual acts on him. That case was settled out of court. Chief Attorney Matt Gonzalez of the Public Defender’s Office said law enforcement officers must stop protecting abusive or dishonest colleagues. Sheriff Ross Mirkarimi condemned the alleged abuse and has relocated the deputies involved in the alleged incidents. Adachi has called for an investigation by state or federal officials. Tamara Barak Aparton, communications and policy assistant in the San Francisco Public Defender’s Office, can be reached at Tamara.Aparton@sfgov.org. Bay View staff contributed to this story. 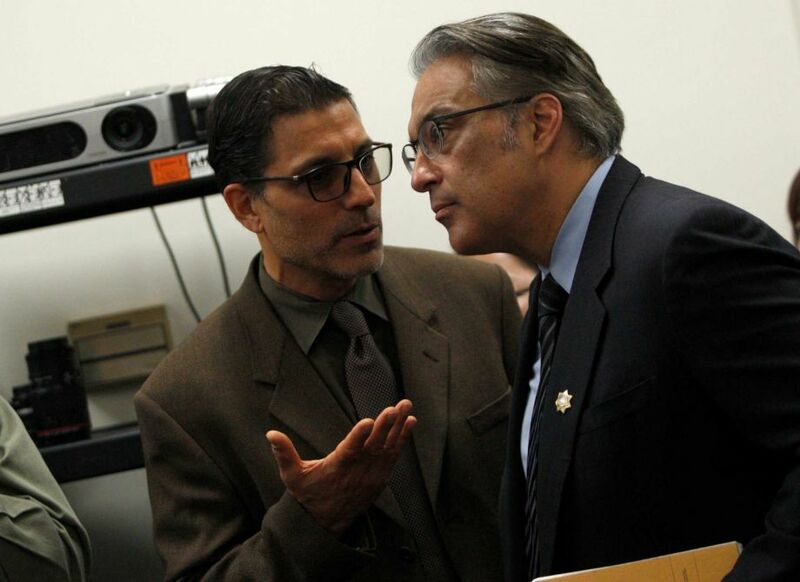 On March 26, 2015, at approximately 9:35 a.m., Sheriff Ross Mirkarimi received a telephone call from Public Defender Jeff Adachi alerting the sheriff to serious allegations of misconduct involving four deputy sheriffs. Sheriff Mirkarimi immediately took swift and decisive action regarding this complaint of intolerable misconduct. Sheriff Mirkarimi immediately placed the four deputy sheriffs named in this allegation on administrative leave. The San Francisco Sheriff’s Department’s Internal Affairs Unit and command staff responded to County Jail No. 4 to begin an investigation. To ensure greater transparency and accountability, the sheriff is requesting the Department of Justice to conduct an independent investigation into these allegations. Sheriff Mirkarimi condemns the behavior in these allegations. The sheriff’s primary concern is for the safety and wellbeing of inmates and staff. To that end, he ordered two of the named inmates in the allegation moved to different housing locations. Mark Nicco, attorney for the San Francisco Sheriff’s Department, can be reached at Mark.Nicco@sfgov.org. Next articleDoes the disability community need a documentary on police brutality from a retired disabled Black cop? Fortunately such kind of crimes are invested and the guilty get what they deserved. It's a shame that such people work as policemen. My colleagues from http://www.trustmypaper.com and I express our protest. Renting out the office space is not a new idea but providing it to poor victims is definitely a new idea. I have been using my office space as a source of business providing many people it on rent those who can't afford their personal buildings but even this was indeed a noble task. I always have learned many thugs from your blog. Special education professors perform by yourself or even together with common education professors to be able to individualize instruction, create problem-solving techniques as well as assimilate children into team tasks together with some other individuals. Sheriff Mirkarimi stated, “I am outraged at the conduct described in these allegations, and my administration is committed to eradicating any behavior that belies the trust in our public servants. I have been using my office space as a source of business providing many people it on rent those who can't afford their personal buildings but even this was indeed a noble task. A lot of of what you say happens to be supprisingly legitimate and it makes me wonder the reason why I hadn’t looked at this in this light before. This particular piece really did turn the light on for me as far as this topic goes. Nevertheless at this time there is just one point I am not necessarily too cozy with and while I make an effort to reconcile that with the actual core idea of the point, permit me see what all the rest of your visitors have to point out.Very well done.